Payroll software that caters for PAYE Modernisation will improve and streamline the payroll communication between employers and Revenue. A significant number of small employers are still processing their payroll using a manual or spreadsheet system. A manual approach may seem like an attractive option but can result in inaccurate payroll processing. 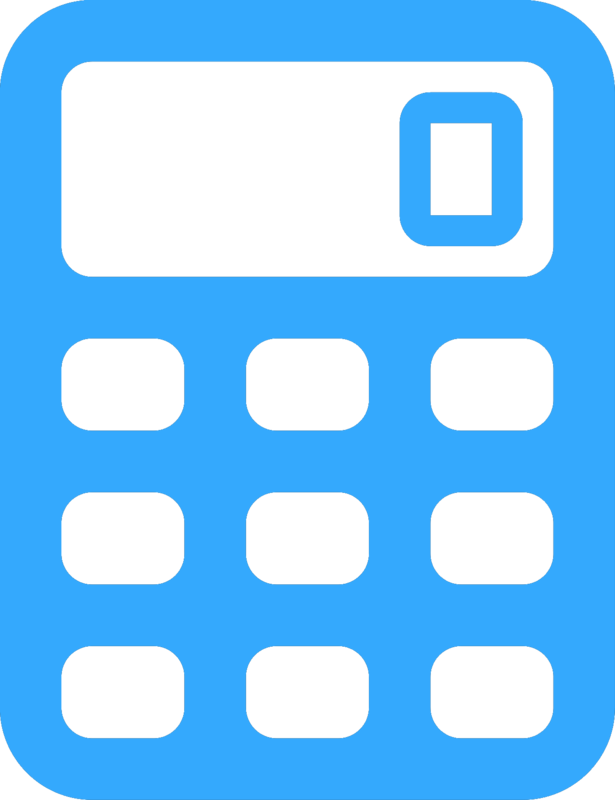 Payroll calculations are complex and change regularly, therefore, it is important that the payroll information is correct for your business, employee and Revenue records. Before now, a significant number of Irish employers have manually processed their payroll on a yearly submission basis. However, since the introduction of PAYE Modernisation in January 2019, processing payroll manually has proved to be more difficult. Employers can no longer submit their payroll information to Revenue on a yearly basis. Instead, employers are required to calculate and report their employees’ pay and deductions as they are being paid in real time. Many business owners believe that a manual payroll system is a relatively easy way to manage their payroll and can seem like the most cost-effective option. However, a manual system does not have built-in processes to catch mistakes or notify you of payroll changes. Additionally, manual records are very difficult to maintain, store securely under GDPR and are subject to greater human error. With the introduction of PAYE Modernisation, the payroll process can now be time consuming, frustrating and costly where businesses use a manual process. PAYE Modernisation is the biggest change to affect PAYE processing since it’s conception. The objective of the new system is to improve the way in which businesses, employees and Revenue communicate with each other. PAYE Modernisation affects every employer and employee. Under the new legislation, employers must submit their payroll information electronically to Revenue every payroll run. PAYE Modernisation replaces the current outdated PAYE system and introduces a modern way of reporting your payroll information to Revenue. Employers are required to report pay, taxes deducted and other PAYE information for each employee, every pay period to Revenue. This process eliminates the P35 report submission at the end of the payroll year. Additionally, the traditional reporting forms that businesses used such as the P30, P35, P45 and P46 have been abolished. PAYE Modernisation does not change the way businesses calculate their employee’s PAYE deductions. Instead, it has changed how and when the payroll information is sent through to Revenue. Employers are now required to submit their payroll returns electronically and in real time, each payroll run, allowing Revenue to access the most up-to-date information. Read: PAYE Modernisation checklist to ensure 100% compliance. No facility for directly submitting PAYE reports and information to Revenue. Payroll processing manually takes up valuable business time. The more manual the calculation, the more open to errors. Errors can prove difficult and time-consuming to locate. Manual miscalculations may result in penalties from Revenue. Employees may not receive a payslip every pay period which is a mandatory requirement by law. Submit PAYE information electronically, with just a few clicks, straight through to Revenue each pay period. Retrieve tax credits and cut offs automatically. Easily pay employees and keep up-to-date with the latest legislation. Comply with payroll tax and record-keeping laws. Complete payroll and PAYE Modernisation submissions in a timely basis. Large number of employees will no longer be a problem. Employees will receive a payslip detailing PAYE deductions and information each payroll period. Competitively priced software that is easy to use will result in time and cost savings. "The Revenue Commissioners recommends an integrated payroll and PAYE Modernisation solution for employers, as it will reduce the workload and administrative burden on the business significantly, whilst improving compliance." Revenue have strongly advised that employers and payroll processors should review their payroll processes and systems to ensure they meet the new PAYE Modernisation requirements. Payroll software which caters for PAYE Modernisation will improve and streamline the payroll communication between employers and Revenue. This direct integration reduces the administrative burden by automating the submission of PAYE reports to Revenue and by automating the retrieval of tax credit instructions from Revenue. BrightPay will easily cater for the requirements of PAYE Modernisation. We have worked and will continue to work directly with Revenue to ensure our payroll software is fully PAYE Modernisation compatible. BrightPay streamlines PAYE Modernisation allowing users to instantly submit their PAYE data to Revenue with just a few clicks. Our payroll software is fully recognised by Revenue and complies with the new payroll legislation. 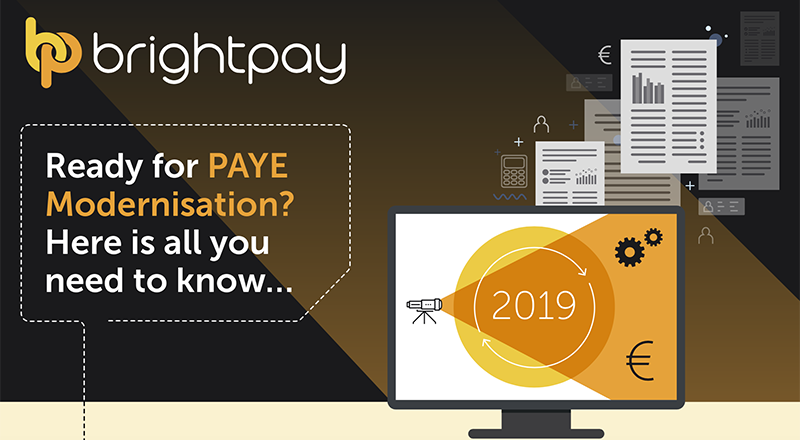 Make sure you are ready for PAYE Modernisation by choosing BrightPay to streamline the PAYE process. 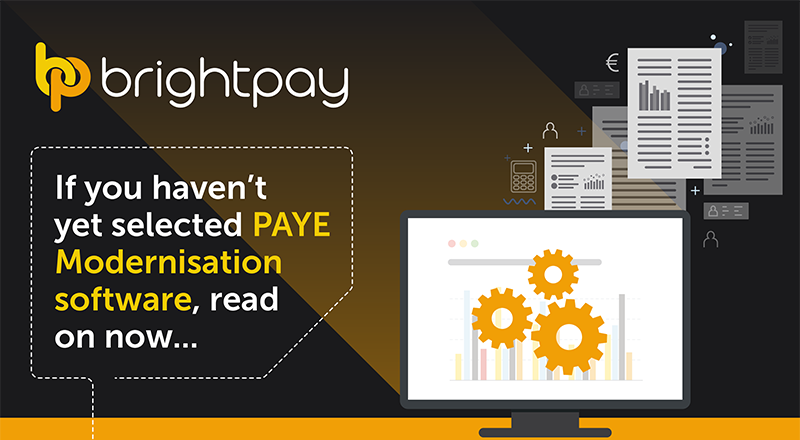 Book a demo to find out how seamless PAYE Modernisation can be with BrightPay. At BrightPay, we are committed to helping businesses understand their new real time reporting obligations. Our FREE webinars will give you an overview of how PAYE Modernisation affects the payroll process and how to comply with the new legislation. Our PAYE Modernisation webinars are completely free to attend and include a presentation from Sinead Sweeney, the PAYE Modernisation Change Manager at the Revenue Commissioners. Our payroll software streamlines real time reporting so that employers can easily comply with PAYE Modernisation. Watch our PAYE Modernisation webinars on demand to find out what you need to know about PAYE Modernisation.